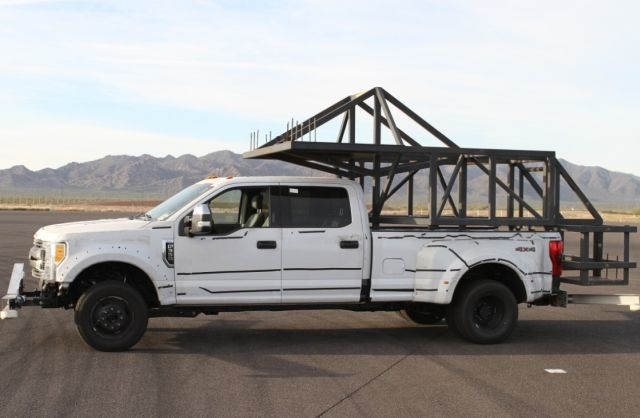 Ford knows its owners all have different uses for their F-Series Super Duty, which is why the company goes to extraordinary lengths to satisfy as many customer needs as possible. For the needs of outdoor enthusiasts, testing involves using a custom-built slide-in camper simulator to test the truck's roll stability when its center of gravity is raised. The test simulates carrying a camper weighing more than 7,500 pounds, loaded with fresh water, cooking gear, fuel, and batteries. Watch Ford engineers put Super Duty through its paces at Arizona Proving Grounds, subjecting the truck to low- and high-speed lane changes, as well as slalom runs, to help ensure every Super Duty customer is a happy camper.